I guess this one isn’t so much of a recipe, more a different way of doing something to make it more interesting, and a salad in a jar actually keeps a few days in the fridge*! This also makes it really handy for taking to work, or if you have a busy routine at home and don’t have time to stand chopping salad for making your lunch during the day, you can make 2 or 3 of these salad in a jar up on a night time, then they can be taken from the fridge and either enjoyed straight from the jar or poured out on to a plate. Best of all, it is completely syn free*! Baked oats are one of my staple breakfasts nowadays, and there are so many different versions that can be made that you could even have them as a dessert! This raspberry and Sweet Freedom Choc Shot version really hits the spot though. It is sweet, fruity, and chocolaty for a very low syn value* but it also feels like you are being naughty as it looks like a cake too! It’s lovely just warm from the oven, a (big) slice served with a cuppa, or served with even more fruit and some yogurt for breakfast. Because it is so big you can slice it and eat it throughout the day too, using your Healthy Extra B choice. Pancake Day (or Shrove Tuesday if you want to be particular) is drawing closer, and who doesn’t want pancakes then, in some form or another? To have “proper” pancakes on Slimming World would mean using quite a few syns, but with these you barely need to use any, so you can still have your pancakes and eat them! 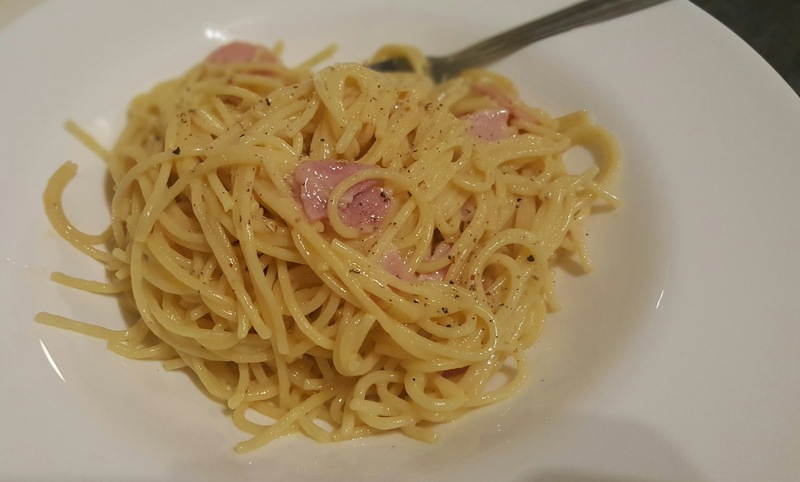 Pasta is a favourite dish in our house so I am really glad that I can eat as much of it as I like on Slimming World. Recently though it has been a case of finding pasta dishes other than bolognese, lasagna or a pasta bake. 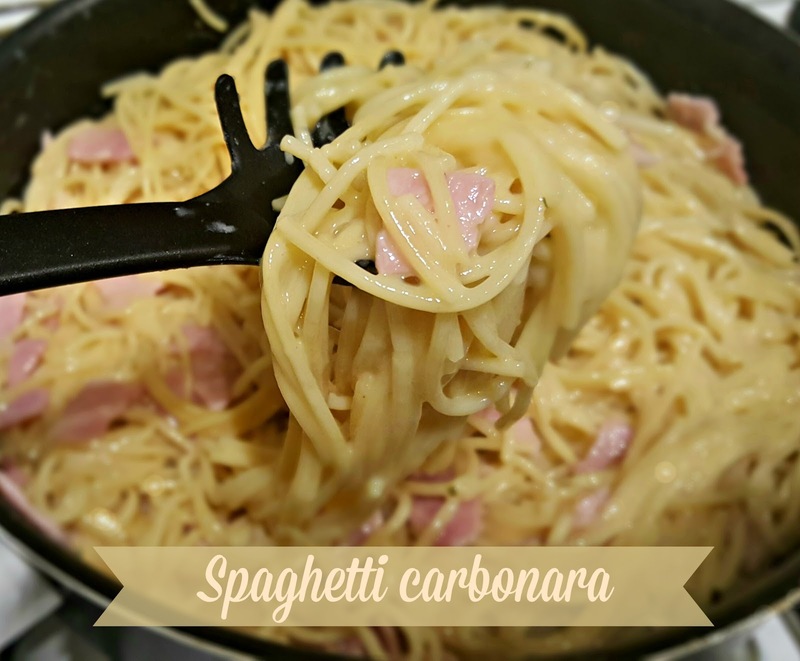 This spaghetti carbonara is delicious with the whole family enjoying it, and it’s even more enjoyable knowing it is only 1 syn per portion! It is even more perfect served up with a slice of garlic bread. Cook the spaghetti according to the instructions on the packet, then drain well and return to the pan. While the spaghetti is cooking, dry fry the bacon & garlic over a high heat for 2-3 minutes, then remove from the heat. Lightly beat the eggs, season, then stir in the fromage frais and the Primula cheese. Add the bacon to the spaghetti and mix well over a low heat. Remove from the heat and stir in the egg mixture, tossing thoroughly so that the eggs thicken in the residual heat. This will make a sauce that coats the pasta. Serve into bowls and scatter a little Parmesan over the top if desired, or season with freshly ground black pepper.